Are you on a search for How to find best lawyer? Everybody, at some point, requires the services of a legal professional. The biggest problem arises when you don’t quite understand the complexity and diversity of the field and seek help in all the wrong places. As with any field of expertise, there are those who will try to take advantage of your vulnerability and it is wise to do your homework thoroughly before making any decisions of this nature. 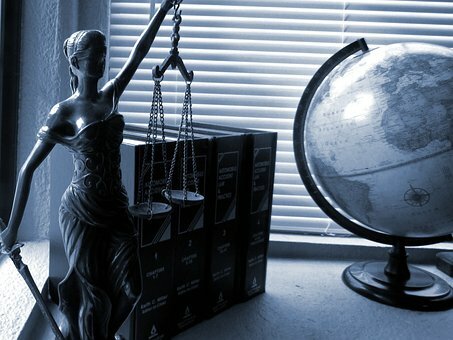 There are a number of things to consider when in search of a lawyer who can aptly cater to your needs. While it is safe to say that you cannot exactly go around interviewing every possible candidate, you can narrow down your options and then delve a little deeper. There are some very pertinent questions that should always be asked. + How long has the lawyer been practicing? + What is the success rate of said lawyer? + How often does he/she deal with legal matters such as yours? + How open are the channels of communication? Seeking legal advice and assistance always wears a price tag. It would be in your best interests to identify, from the start what the fees are and how billing is finalized. Be cautious and thorough in your quest and save yourself astronomical costs that you didn’t account for. Ask the right questions and be prepared. + How are the fees structured and how often will you be billed. + Are there any “hidden” charges for postage, filing, admin and the like? Of course a legal professional may give all the right answers and offer what seem like the correct services, however, it is important that you feel completely comfortable working with them. It is vital to ask yourself whether you were completely satisfied. + Was the service prompt? + Are you comfortable working with the professional? + Was he/she courteous and were all your question answered to your satisfaction. + Is the fee structure acceptable? + Do you have confidence that this professional will handle your matter to the best of his/her ability? There really are so many considerations that need to be accommodated for and an oversight of any of them could lead to failure of your plight to reach an end to a legal matter or lack of satisfaction at the result. One thing that rings true, when referring to human beings, is the innate nature to speak of experiences they have encountered, good and bad. Asking around is always a good way to gauge the success rate of any professional. Once you have narrowed down your possible candidate list, request a list of references and actually act on that list. Call up prior clients and ask the questions about service and satisfaction. There is no better way to find out what experience you can expect and whether or not it is what you are looking for. Lawyers are usually needed during times when stress levels may be at their highest. Choosing a professional who gets the job done while keeping you at ease is what you need and should seek out.